Celebrating 25 Years of providing quality weigh+fill solutions to small businesses around the world! Gravity + Vibration + Logic since 1994! At Logical Machines our one goal is to provide superior quality filling systems at competitive prices. Our scales are built from the ground up to address the needs of small to medium sized, owner-operated businesses. Our scales are competitively priced because they are efficient to manufacture by design. We use straightforward design and the latest manufacturing technologies to keep our costs low so that we can pass along the savings to our customers. Are machines are fabricated, assembled and tested in Vermont, USA, and all purchased components are from top-shelf American manufacturers. 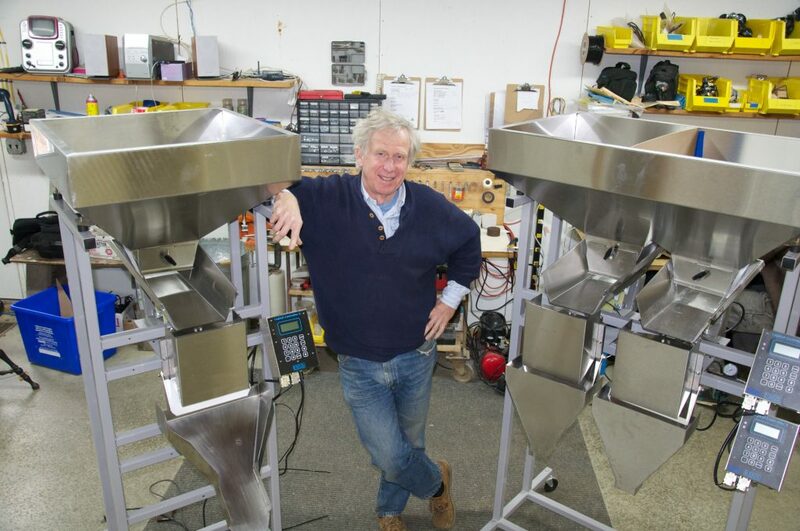 Each scales is shipped fully assembled (you only have to attach the floor casters!) and initial setup is fast and simple. Each scale is designed for the needs of different types of businesses. For a detailed summary of these four machines, visit our "Which Logical Machine is right for me?" page. The "brain" behind of each Logical Machine is the Logical Controller II. 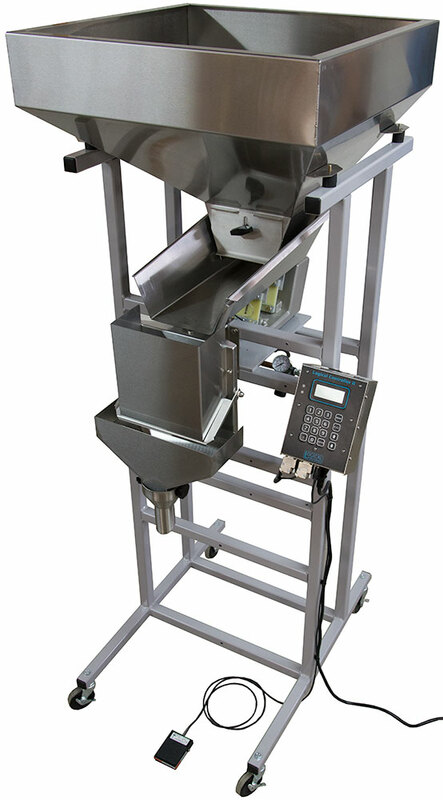 This micro-processor controller provides accurate weight measuring for a wide variety of free-flowing materials from weights from 1 gram to 75 lbs. Our proprietary SMART Mode System software enables the controller to set itself up and automatically learn the characteristics of your product for maximum speed and accuracy. Speed and accuracy are maintained during every fill cycle by the Controller's ability to self-adjust on-the-fly. The Controller can store up to 99 saved jobs. The Logical Controller II is a modular, plug-and-play system. In the unlikely event that you should have a problem with your Controller, the solution is only one overnight shipment away. Using our ROAD System Software, you can connect your Logical Controller II to a PC to visually adjust settings, and to download product fill data for analysis. 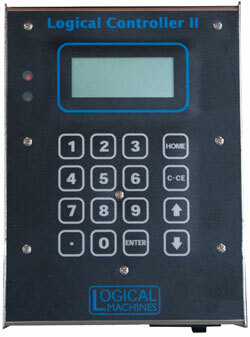 Click here to try our S-4 / Logical Controller II Interactive Guide. "I invite you to give me a call to discuss your product filling needs. I'm confident that we can find the right scale for your business."